Guide price is per person. Based on 4 people sharing for 7 nights on Room Only in Orlando. 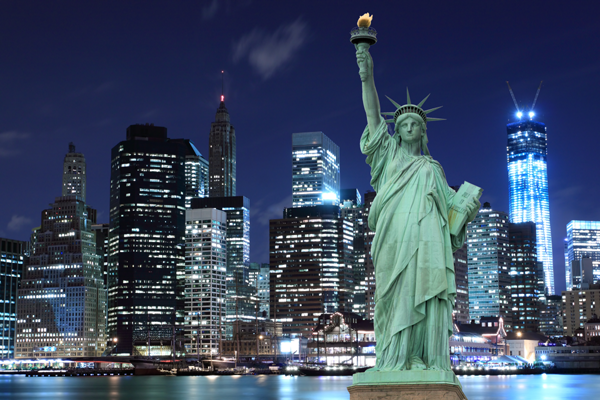 A visit to the United States of America offers something different for everyone. No matter what you love to do on a holiday, the USA is likely to offer it. Fantastic cities, stunning beaches, numerous attractions and fun theme parks are just a few of the things that attract British holiday makers to take a holiday in America. From national parks, to modern metropolis, jazz in the deep south to country and western in the mid-west all tastes are covered. The cream of the crop for UK visitors is undoubtedly the Big Apple. Nearly 3 million people travelled between London and New York airports in 2017 alone. 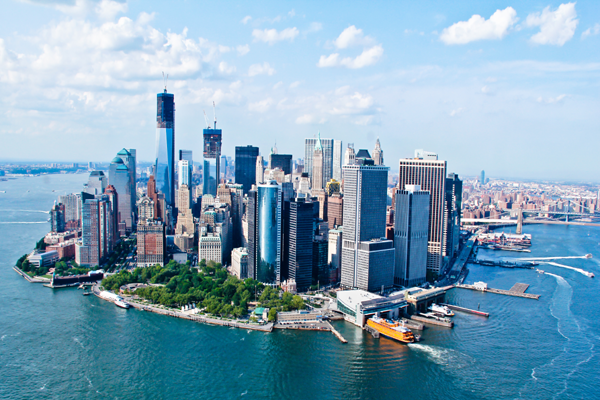 With high rise skyscrapers, fabulous shopping and numerous sights and sounds, a city break in New York just keeps growing in popularity. Other cities such as Boston and Philadelphia on the east coast, Miami to the south and Chicago are also popular with Brits. Boston with its friendly locals is famous for its warm hospitality and fantastic art scene. It is one of the oldest cities in the USA and is home to the world famous Harvard University. Philadelphia is home to the historical Liberty Bell and the meeting place of the founding fathers of the USA where the United States Declaration of Independence was signed. “Philly” is also famous for the “Rocky Steps”at the Philadelphia Art Museum, the place where Sylvester Stallone filmed the training scenes of Rocky. 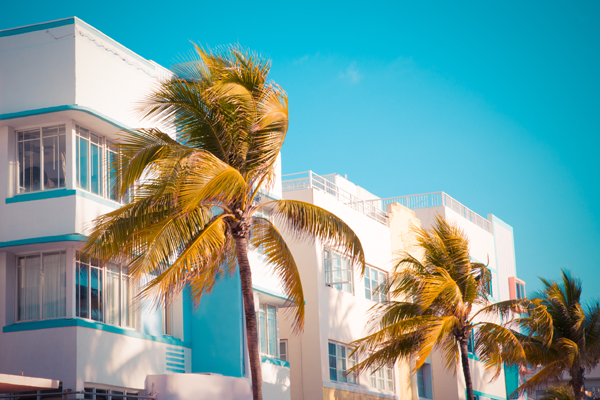 Miami is famous for its art deco style buildings, impressive nightlife, stunning beaches and also as the home of many cruise lines that head off to the Caribbean. Chicago, known as the Windy City, sits on Lake Michigan, one of the Five Great Lakes of Northern America and the only one that sits exclusively within the USA and not shared with Canada. The city is a great choice for a break, it offers stunning vistas, impressive skyscrapers, great theatre and first class shopping. Over on the west coast Los Angeles with its glamorous and glitzy reputation is home to Hollywood and Disneyland as well as lovely beaches, a one stop shop for all ages. San Francisco has a great art scene, fabulous food and of course the famous Golden Gate Bridge. 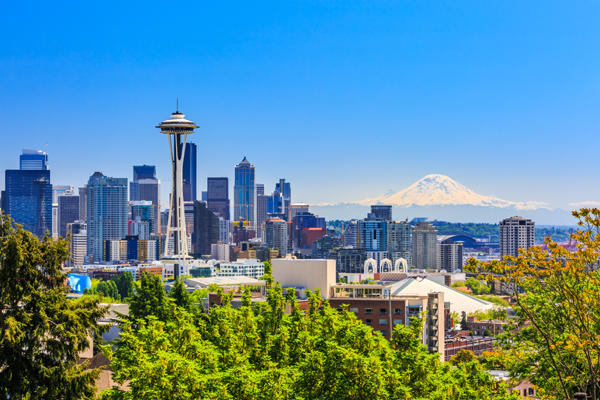 Seattle is slowly and surely becoming a popular spot for a city break. The home of Starbucks, Microsoft, Boeing and Nirvana from the grunge scene of the 90’s, it is just about as far north as you can go in the USA. Head for the lovely city of Denver in Colorado and in the shadows of the Rocky Mountains and enjoy some of the best skiing and boarding on the planet. With high altitude snow sure resorts, it is a winter sports fan’s dream. With glamorous resorts such as Aspen it is popular with the international jet set crowd, as well as resorts such as Breckenridge and Winter Park that appeal to all. Mammoth Mountain in California is another favourite with serious skiers and boarders and offers one of the best snow records in all of North America. Family holidays in the USA are increasingly popular. For many years Orlando in Florida has been the go to place for the best theme parks from the likes of Disney, Universal and Busch Gardens, offering hours of family fun. With a huge choice of places to stay such as motels, hotels and villas, there is something for all tastes and budgets. 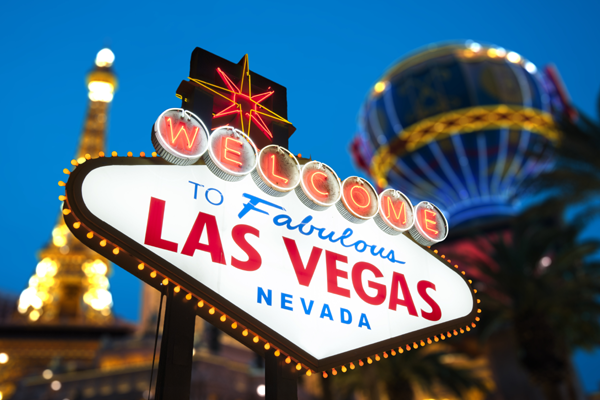 Las Vegas holidays and city breaks are also growing in popularity annually. With bright neon lights, modern state of the art hotels and of course the world famous casinos, it is the go to party city in the United States. Where else could you walk along the street and see the Eiffel Tower, a Pyramid and Sphinx or a rollercoaster on the top of a skyscraper hotel? With shows by international superstars and some of the best boxing matches in the world, as a result Las Vegas is the go to holiday destination in America for both Americans and visitors from all over the world. Where ever you fancy for your USA holidays, call one of our friendly team today and we will help make your dream holiday come true. We can arrange city breaks, multi centre or theme park based holidays and arrange flights from your local airport.